Prime Minister Tony Abbott provides yet more support for the ACT light rail project in contrast to his Canberra Liberal comrades. When asked a question about whether the federal government would fund an extension to the Gold Coast light rail, Prime Minister Abbott praised the ACT Governments approach to Capital Metro funding by using asset recycling money and the Federal Governments $60 million contribution. ABC News online reports on it here. ABC Canberra TV carried a report on its 10 Jul 2015 evening news bulletin. A full transcript of the interview is here. 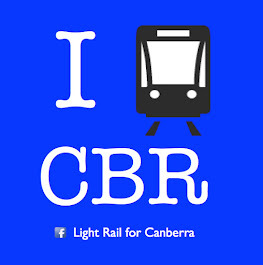 Meet ACT Light Rail and get a free sticker!